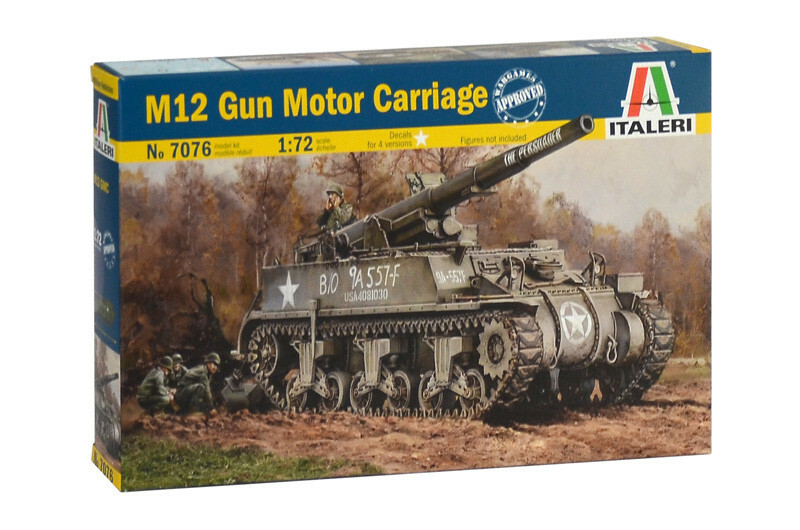 The self-propelled gun GMC M12 was used during the Second World War by the U.S. Army. It was developed on the hull of the M3 Lee / Grant tank on which was installed the original French GPF 155 mm gun. The main armament, the ammunition and the gun crew were located in an open topped area at the back of the vehicle. Only the driver's and the radio operator’s seats were protected. To absorb the effects of the recoil when using the artillery piece, the M-12 was equipped with a rear blade that was lowered and fixed into the ground.